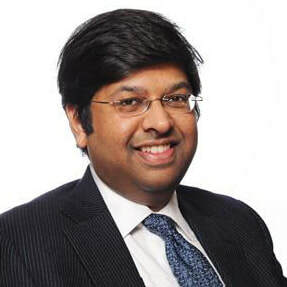 ​Shashank Singh is a Partner and Head of the India office of Apax Partners, a global private equity fund based out of Europe. Prior to joining Apax Partners, Shashank was a strategy consultant with Monitor Company. He is the Chairman of the Board of Dasra, India. He also currently serves on the boards of GlobalLogic, Zensar, SCUF and Greatship India, and was previously on the boards of IGATE and Apollo Hospitals. In addition, Shashank is a Trustee of the Apax Foundation and serves on the South Asia Advisory Board of the Harvard Business School. Shashank has an MBA from Harvard Business School, an MA in Economics from Cambridge University and a BA in Economics from St. Stephen’s College, Delhi.